Sandell Asset Management, Tom Sandell, was founded in 1998 and The Hedge Fund Journal nominated its UCITS fund as the Best Performing Risk Arbitrage Fund in 2012. The fund has a net portfolio of $542 million with its primary focus on service-oriented investments. Bob Evans Farms Inc (NASDAQ:BOBE), NASDAQ:CPWR), Meritor Inc (NYSE:MTOR) are the top three holdings of Sandell Asset Management, as per the recent SEC 13F filing of the fund. (You can see complete list of Sandell Asset Management here). Bob Evans Farms Inc (NASDAQ:BOBE) is the biggest investment of Sandell Asset Management with $71 million invested for 1,426,135 shares of the company. Bob Evans Farms Inc (NASDAQ:BOBE) reported net sales of $326.3 million for the first quarter of 2015 with an adjusted net income of $0.10 per diluted share. Sandell Asset Management is the largest investor in Bob Evans Farms Inc (NASDAQ:BOBE) followed by Levin Capital Strategies ($24 million) and Royce & Associates ($21 million). Compuware Corporation (NASDAQ:CPWR) comes at number two in Sandell Asset Management’s portfolio with 7,043,815 shares worth $70,368. 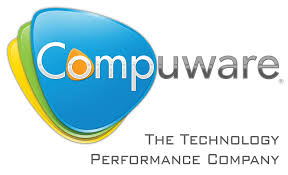 Compuware Corporation (NASDAQ:CPWR) reported net revenues of $164.5 million for first quarter 2015 with GAAP net income of $52,000. Elliott Management is the largest investor in Compuware Corporation (NASDAQ:CPWR) with investments worth $210 million followed by Paulson & Co ($142 million) and Sandell Asset Management. Meritor Inc (NYSE:MTOR) comes at number three in terms of investment value with $52 million invested by Sandell Asset Management and 4,010,670 shares. Meritor Inc (NYSE:MTOR) reported net sales of $986 million for third quarter 2014 with net GAAP income of $234 million. Top three investors in Meritor Inc (NYSE:MTOR) include Glenview Capital ($111 million), Avenue Capital ($95 million), and Sandell Asset Management.